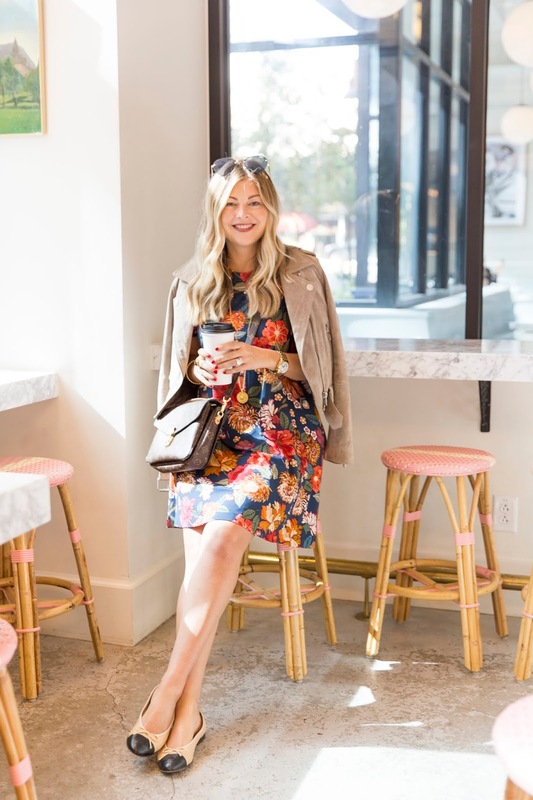 This was my best transitional look for grabbing coffee in Austin during our visit. 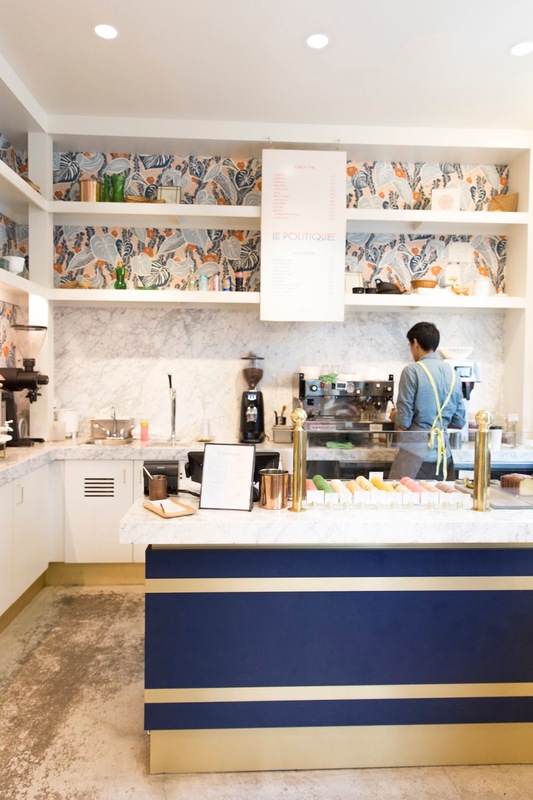 We dropped by Le Politique for cappuccinos and cookies. Not only were the drinks well made and the treats uber tasty but the setting was down right stunning. Whether you drop into the patisserie or dine in the restaurant (there's two parts), I highly recommend! Stay tuned for my Austin guide coming shortly. 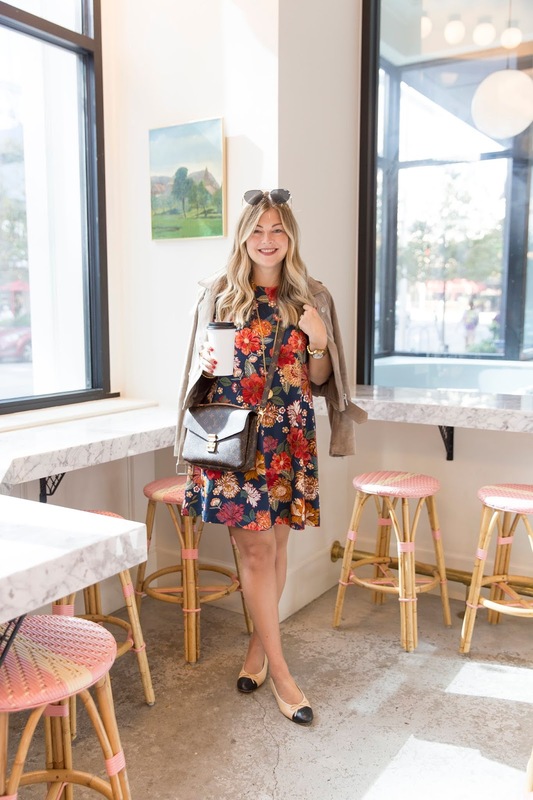 As for the look, you've definitely seen this jacket around many times on the blog but I paired it with this fall inspired swing dress. I know many of you read from the southern US where snow, sleet and cold weather hasn't hit and I think this is such a great item that girls from Toronto to Tampa could wear at this time of year. If you are smack in the middle of winter, I loved the idea of adding a collared blouse under this dress in black, navy or even white and adding burgundy tights with cute flats or even ankle booties. The pattern was too cute to pass up!